Can you get rid of your TV and watch online TV instead? In these dark days of the ‘credit crunch’ and recession, any reduction in household costs is welcome. And you can make a start by moving some of your viewing online. 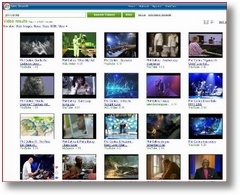 Many TV shows and movies are available to watch via internet TV. I am not saying cancel Cable or Satellite subscriptions, but you could certainly cut back without compromising your viewing pleasure. Many people are (still!) unaware that you can watch pretty much any hit TV show, full episodes or Movies on your PC for no cost at all, apart from electricity and broadband costs off course. To start watching for free you just need to know where to look. And luckily for you, your in just the right place right now. Already many people are connecting laptops to their television sets via a video cable, whilst others are using their game console and other devices to view Internet TV. Where to find the good content to watch? Any TV show, movie or even sports events are all available either using illegal downloading, Free TV networks or via a TV on demand paid services. Usually by visiting the networks own Website (check out our catchup tv list) or an aggregator like Hulu or sling. The biggest problem doing this is sometimes finding the content. But you can look through the TV guides to find out whats on and where. Are full TV shows available? Yes you can find many full episodes of hit TV shows on the worldwide web. Much like traditional TV, they will contain advertising and the shows are generally delayed by a few hours from initial airing. The downside to watching this way is that the networks will usually delete the show after a few days. Are full movies available online? You can find many movies from the catch up tv websites, however the latest Hollywood blockbusters are not available for free. You can purchase a viewing straight over the net using a service such as Netflix, iTunes or Amazon Video On Demand services. That depends on many things. Most networks have got their act together and offer great streaming speed and quality. It’s not ‘jaw dropping’ but it is fine to view. And dont forget many shows are available in HDTV. Of course you will need a reasonably recent computer and fast broadband connection to ensure a great picture. This is one area where online isnt so great. All sports fans may be disappointed at the selection. You can usually see the game highlights but the full and live events are only available from slightly dubious sources such as Chinese P2P networks such as TVants and PPlive etc. So shall i cancel my cable TV? I think it’s just a little too early to cancel your subscriptions and throw out the TV just yet. Internet TV should be seen as a growing service that will get better and better. However it cannot yet totally replace what you can get on your cable or satellite deals. What you can do however is possibly downsize your cable bill and go online to watch more TV. It is after all going to be the future, so get watching internet TV now. All the popular online video sites like Youtube, MySpace, Metacafe etc all stream their movies onto your screen using a Flash video format known as .flv instead of letting the viewer just download the video onto their hard drive. And why do they do this you ask? Well its something called advertising. If they can keep us on their website then whilst you are viewing the content you are also subliminally being bombarded with advertising. As long as we stay on the site they have a chance to get some revenue from us. Also of course you may bookmark a fantastic video only to find its been removed next time you look! Now help is at hand with some great sites that allow you to keep, download and preserve your beloved videos from the net before they become erased. After downloading to your PC you can watch the video stream to your PC. Transfer it to your iphone or ipod or other device and feel happy in the knowledge that its yours forever..